This Chevy Equinox is a worthy SUV in today's competitive market segment. It offers attractive styling and comfortable ride that is very appealing. 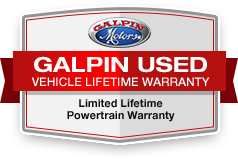 Call us today to test drive this beautiful family vehicle in person and experience 'Galpin Used Car Difference'.